Taken from THE HOLY EUCHARIST, by the same Saint-author. Nihil Obstat and Imprimatur, 1934. THE devotion of all devotions is love for Jesus Christ, and frequent meditation on the love which this amiable Redeemer has borne and still bears to us. A devout author laments, and most justly, the sight of so many persons who pay much attention to the practice of various devotions, but neglect this; and of many preachers and confessors, who say a great many things, but. speak little of love for Jesus Christ: whereas love for Jesus Christ, ought to be the principal, indeed the only, devotion of a Christian; and therefore the only object and care of preachers and confessors towards their hearers and penitents ought to be to recommend to them constantly, and to inflame their hearts with, the love of Jesus Christ. This neglect is the reason why souls make so little progress in virtue, and remain groveling in the same defects, and even frequently relapse into grievous sins, because they take but little care, and are not sufficiently admonished to acquire the love of Jesus Christ which is this golden cord which unites and binds the soul to God. For this sole purpose did the Eternal Word come into this world, to make Himself loved: I am come to cast fire on the earth, and what will I but that it be kindled. [Luke xii. 49] And for this purpose also did the Eternal Father send Him into the world, in order that He might make known to us His love, and thus obtain ours in return; and He protests that He will love us in the same proportion as we love Jesus Christ: For the Father Himself loveth you, because you have loved Me. [John xvi. 27] Moreover, He gives us His graces as far as we ask for them in the name of His Son: If you ask the Father anything in My name, He will give it you. [John xvi. 23] And He will admit us to the eternal beatitude in so far only as He finds us conformable to the life of Jesus Christ: For whom He foreknew, He also predestinated to be made conformable to the image of His Son. [Rom. viii. 29] But we shall never acquire this conformity, nor even ever desire it, if we are not attentive to meditate upon the love which Jesus Christ has borne to us. For this same purpose it is related in the life of Saint Mary Margaret Alacoque, a nun of the Order of the Visitation, that our Saviour revealed to his servant his wish that in our times the devotion and feast of His Sacred Heart should be established and propagated in the Church. in order that devout souls should by their adoration and prayer make reparation for the injuries His heart constantly receives from ungrateful men when He is exposed in the Sacrament upon the Altar. It is also related in the life of the same venerable sister, written by the learned Monseigneur Languet, Bishop of Sens, that while this devout virgin was one day praying before the Most Holy Sacrament, Jesus Christ showed her His Heart surrounded by thorns, with a cross on the top and in a throne of flames; and then He said thus to her: "Behold the heart that has so much loved men, and has spared nothing for love of them, even to consuming itself to give them pledges of its love, but which receives from the majority of men no other recompense but ingratitude, and insults towards the Sacrament of love; and what grieves Me most is, that these hearts are consecrated to Me." And then He desired her to use her utmost endeavors in order that a particular feast should be celebrated in honor of His Divine Heart on the first Friday after the Octave of Corpus Christi. And this for three reasons: 1. In order that the faithful should return thanks to Him, for the great gift which He has left them in the adorable Eucharist; 2. In order that loving souls should make amends by their prayers and pious affections for the irreverences and insults which He has received and still receives from sinners in this Most Holy Sacrament; 3. In order that they might make up also for the honor which He does not receive in so many churches where He is so little adored and reverenced. And He promised that He would make the riches of His Sacred Heart abound towards those who should render Him this honor, both on the day of this feast, and on every other day when they should visit Him in the Most Holy Sacrament. 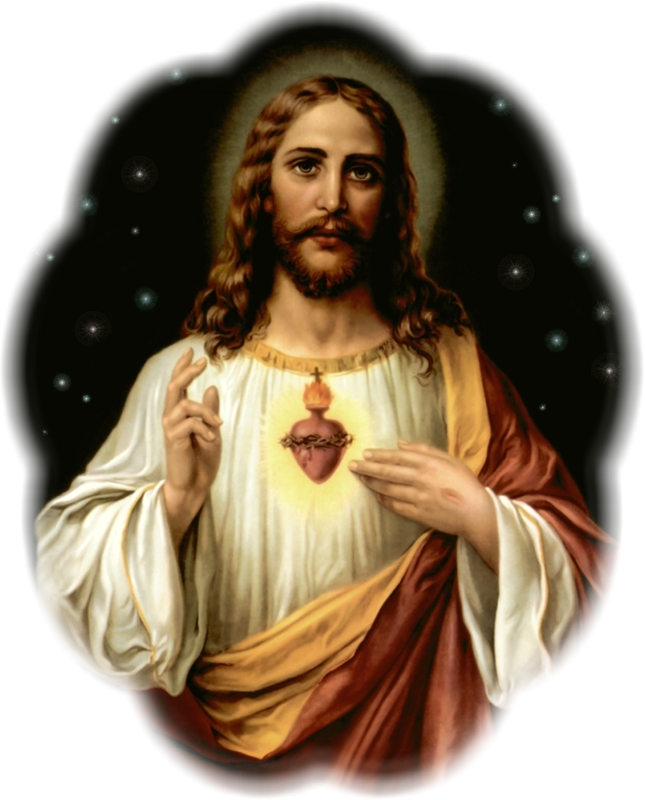 This devotion to the Sacred Heart of Jesus Christ is nothing more than an exercise of love towards this amiable Saviour. But as to the principal object of this devotion, the spiritual object is the love with which the Heart of Jesus Christ is inflamed towards men, because love is generally attributed to the heart, as we read in many places of Scripture: My son, give Me thy heart. [Prov. xxiii. 26] My heart and my flesh have rejoiced in the living God. [Ps. lxxxiii. 3] The God of my heart, and the God that is my portion forever. [Ps. lxxii. 26] The charity of God is poured forth in our hearts by the Holy Ghost Who is given to us. [Rom. 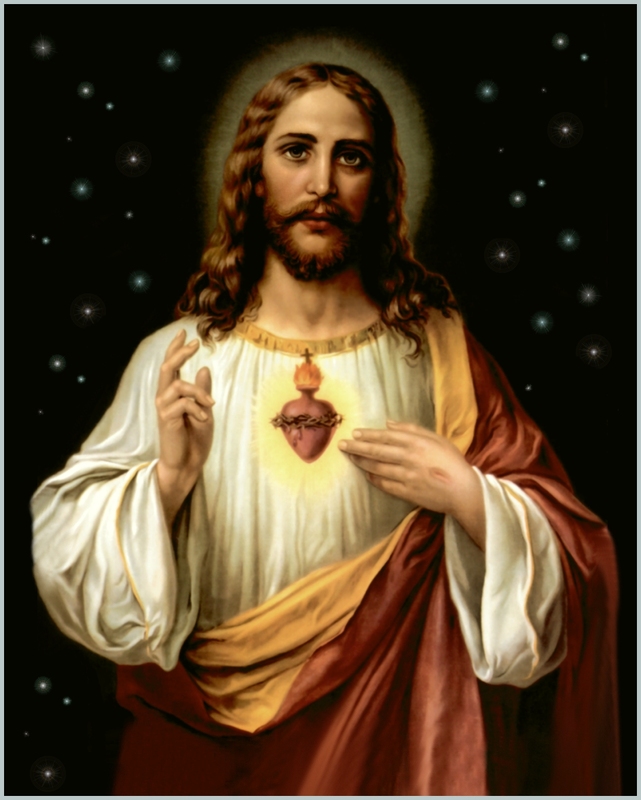 v. 5] But the material or sensible object is the most Sacred Heart of Jesus, not taken separately by Itself, but united to His sacred humanity, and consequently to the Divine Person of the Word. This devotion in the course of a short time has been so extensively propagated, that besides having been introduced into many convents of holy virgins, there have been about four hundred confraternities erected of the Sacred Heart of Jesus, established with the authority of the Prelates in France, in Savoy, in Flanders, in Germany, in Italy, and even in many heathen countries; and these confraternities have also been enriched by the Holy See with many indulgences, and also with the faculty of erecting chapels and churches with the title of the Sacred Heart, as appears from the brief of Clement X, in the year 674, mentioned by Father Eudes in his book (page 468), and referred to by Father Gallifet, of the Company of Jesus, in his work on the Excellence of the Devotion to the Heart of Jesus. But the hope we entertain that this concession will some day be granted in favor of the Heart of our Lord, is not built upon the above-mentioned opinion of the ancients, but on the common opinion of philosophers, both ancient and modern, that the human heart, even though it may not be the seat of the affections and the principle of life, is, notwithstanding, as the most learned Muratori writes in the same place, "One of the primary fountains and organs of the life of man." For the generality of modern physicians agree in saying that the fountain and the principle of the circulation of the blood is the heart, to which are attached the veins and arteries; and therefore there is no doubt that the other parts of the body receive their principle of motion from the heart. If, therefore, the heart is one of the "primary fountains" of human life, it cannot be doubted that the heart has a principal share in the affections of man. And, indeed, one may observe from experience, that the internal affections of sorrow and love produce, a much greater impression on the heart than on all the other parts of the body. And especially with regard to love, without naming many other Saints, it is recorded of St. Philip Neri, that in his fervors of love towards God, heat came forth from his heart so that it might be felt on his chest, and his heart palpitated so violently that it beat against the head of anyone that approached him; and by a supernatural prodigy our Lord enlarged the ribs of the Saint round his heart, which, agitated by the ardor he felt, required a greater space to be able to move. St. Teresa herself writes in her life, [Life, ch. 29] that God sent several times an Angel to pierce her heart, that she remained afterwards inflamed with Divine love, and felt herself sensibly burning and fainting away, -----a thing to be well pondered on, as we perceive from this that the affections of love are in a special manner impressed by God in the hearts of the Saints; and the Church has not objected to grant to the Discalced Carmelites the proper Mass in honor of the wounded heart of St. Teresa.